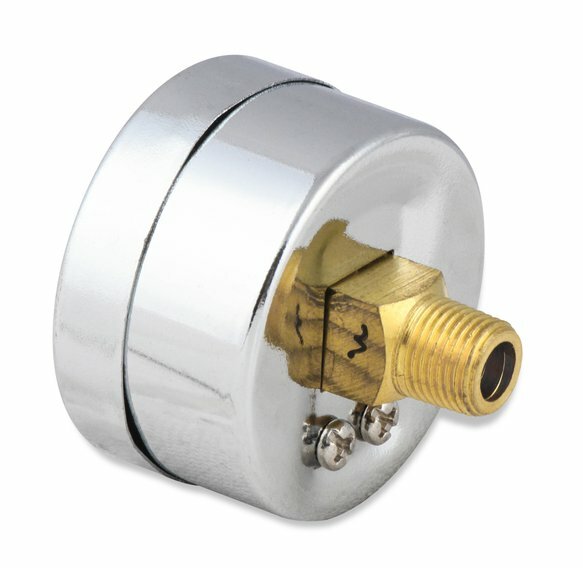 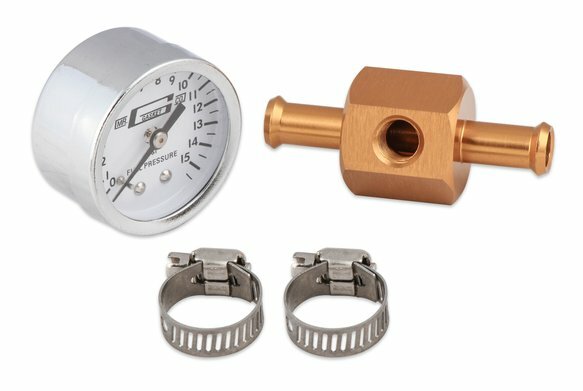 Ideal for in-line connection of fuel pressure almost anywhere. 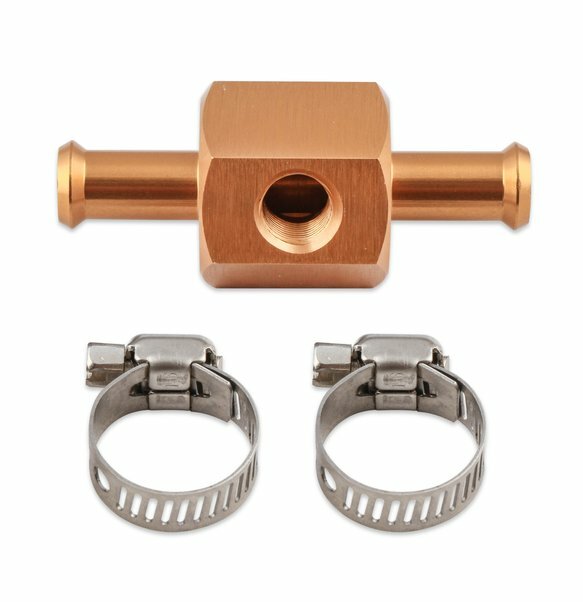 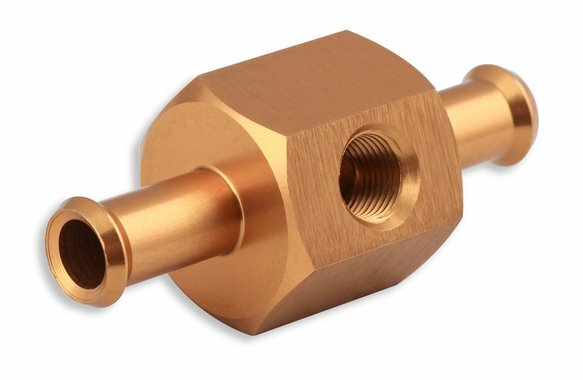 This gold anodized aluminum fuel block has 3/8" hose barb on inlet and outlet. It comes complete with a 1-1/2" diameter gauge with 1/2 lb increments and a range of 0-15 lbs. 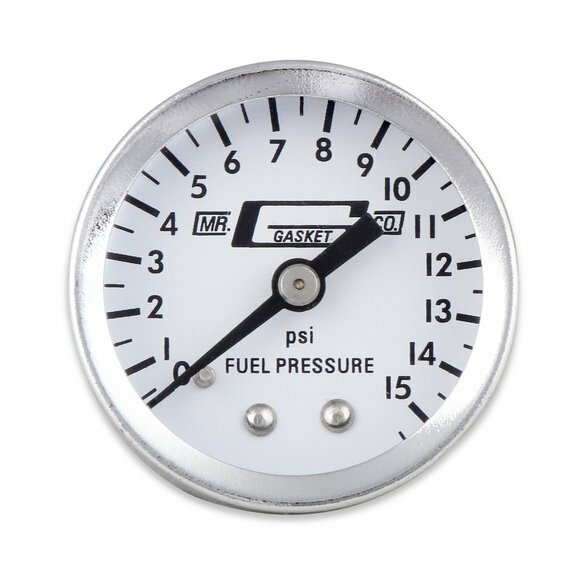 1-1/2" Diameter – 0-15 PSI - Chrome Bezel w/ White Face.